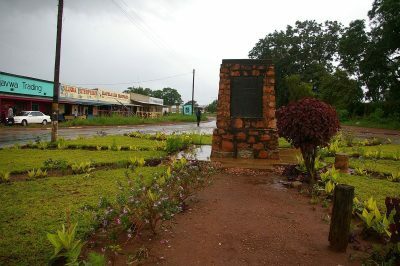 On Sunday in this remote part of Zambia a remembrance service will be held for those who died in the 1914-1918 war during the East Africa campaign. Here is a link to an excellent and brief history of it by Indy Neidal. Its really worth watching. Many people will be surprised to learn of this devastating and terrible campaign in which so many people died from famine and disease as a result. There are no war graves for most of them. 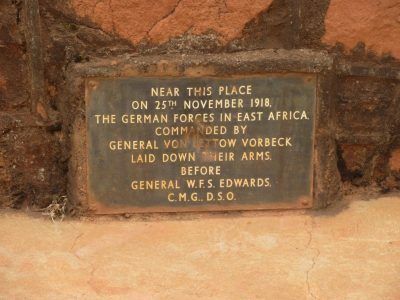 What many people do not know is that the Germans were not defeated in East Africa and General Paul von Lettow-Vorbeck only surrendered 2 weeks after the final ceasefire was declared in Europe. I discovered a tiny cemetery on a visit to my mother. It was hidden away in the bush, a sad neglected place of iron crosses and concrete slabs protected by a barbed wire fence. Some of the graves held the bodies of soldiers who died a slow death from blackwater fever and were only buried in 1919. As a girl I had put on my Red Cross Uniform and attended the Remembrance Day Service in the Harare city park. I thought then, that both World Wars were fought so far away that they hadn’t touched Africa. How wrong I was! My father joined the Gold Coast (Ghana) Regiment and served in Abyssinia (Ethiopia) and Kenya. Of course he never spoke of it. Doris Lessing wrote The Children Of Violence, her theme was that every generation suffers its war. What I gradually came to realise was that centuries of European wars have impacted on Africa with European powers fighting each other for ownership of their colonies. This fact explains the East Africa Campaign. It is why I wrote The Tin Heart Gold Mine. It is why there is a Remembrance Service in Mbala tomorrow. I am fortunate to know two interesting people. One is Roger Chongwe, a Human Rights lawyer, whose forebears suffered death and famine during the East African Campaign. I also know Colin Carlin whose family lived and worked in Abercorn. 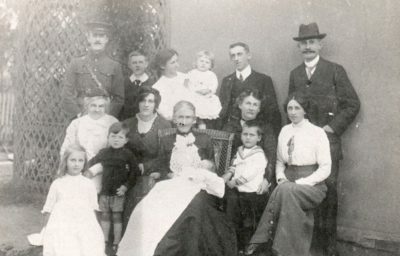 He has an excellent and informative website on this area and its history here at Abercornucopia. It saddens me that there is not much more acknowledgement of this campaign that resulted in the deaths of over one million people. There are interesting books about it. Marching on Tanga by Francis Brett Young, Mimi and Toutou go Forth by Giles Foden, and the brilliant An Icecream War by William Boyd. You all know the film The African Queen with Hepburn and Bogart from the book by C S Forester. My book, The Tin Heart Gold Mine, is not about that period but touches on all the wars that have affected Africa. **I have 10 free copies to give away in exchange for an honest review. Please just email me your address and I will post my book to you. 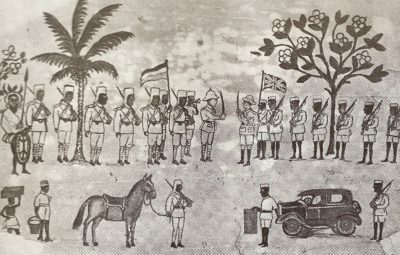 Drawing of the surrender of Von Lettow-Vorbeck in 1918 drawn by an unnamed African artist. Armies march on their stomachs and in their boots! I note that von Lettow-Vorbeck provided his Askaris with boots and The British under General Smuts used barefoot porters. 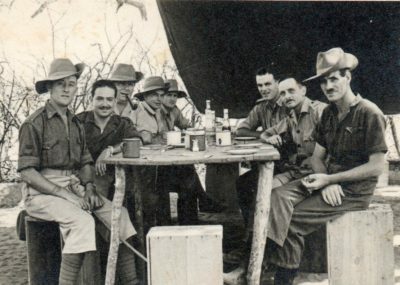 Another curious fact is that some of the British explorers and adventurers, men like Frank Selous, who died in this campaign, and Francis Brett Young were more inclined to socialism and republicanism even though they chose to fight in the 1914-1918 East African War. They will not grow old, as we that are left grow old. Age shall not weary them, or the years condemn. At the going down of the sun and in the morning, we will remember them. May they all rest in peace, but please, do also remember the deaths in Africa caused by European wars. P.S. I thought this was the best way to contact you. 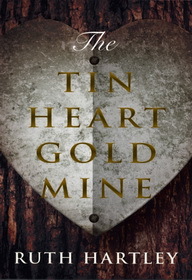 Hi David, I’m delighted that you find The Tin Heart Gold Mine intriguing and hope your copy arrives soon and that you enjoy it! I also well remember coming across the little WW1 cemetery in Marondera. Recently, I mentioned the site in conversation. 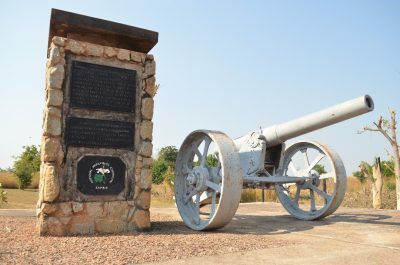 No one believed me; so few people are aware the Great War actually affected Mashonaland East so directly. but it isn’t a digital copy so its not very clear and its only a part of the film. I will see if I can find the Youtube link. I am waiting impatiently to hear about the memorial service in Zambia and hope to have photos from there. The Zambians laid on a first rate ceremony in Mbala with the 3rd Battalion the Zambia Regiment doing the honours in great style. Odd to see the old cap badge with the Crested Crane again! Von Lettow was defeated in East Africa in so much as he was chased out of Tanganyika down into Mozambique and was harried during his flight into Nothern Zambia. With General Edwards and his strong force behind him in Abercorn, he was blocked by the Chambezi. This was a formidable obstacle to cross in the face of opposition. He then faced a long march through sparcely population country to the line of rail at Broken Hill. He was already short of supplies, although not of ammunition. He had totally alienated the population by the dreadful behavior of his troops and would have faced grave supply difficulties on his march south. So he was literally against the creek without a paddle!